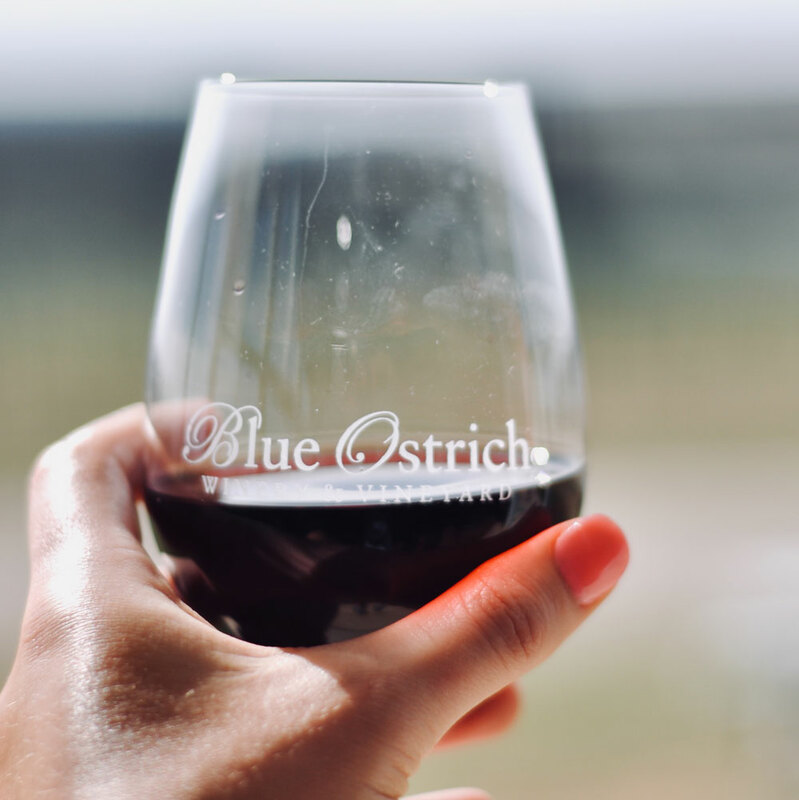 All three wineries are situated between Saint Jo, Muenster and Nocona and the brewery is in Nocona. 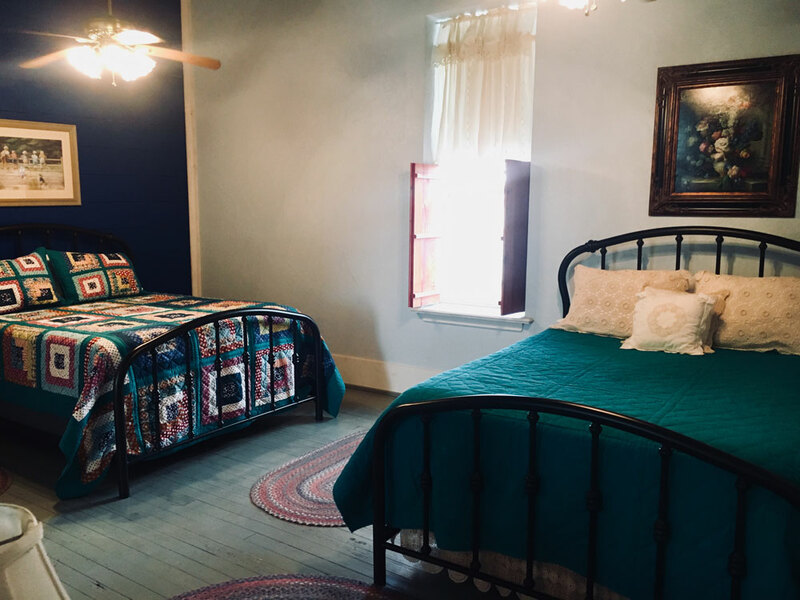 We chose to stay in Saint Jo, because we found the cutest boutique hotel ever, but it seemed like Muenster and Nocona had more restaurant options. However, they are all within a 10-15 minute drive of each other, so it's easy to go back and forth. 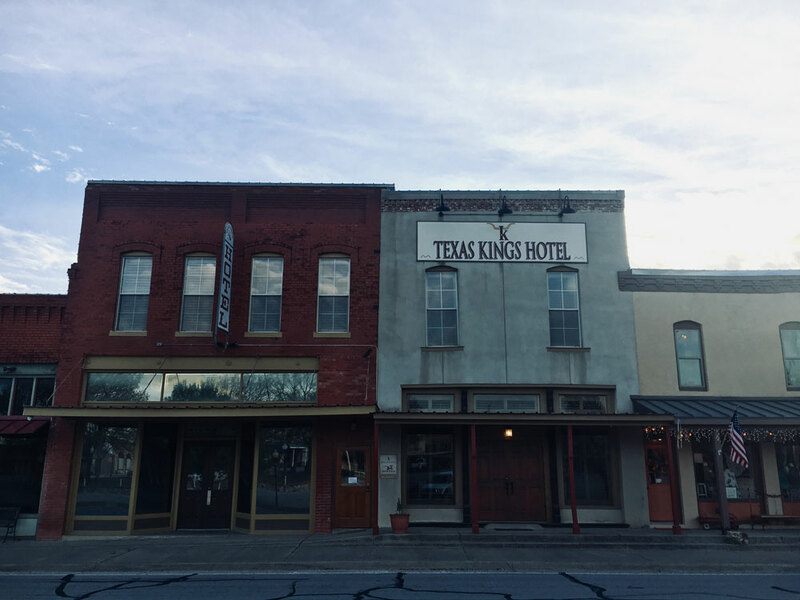 The Texas Kings Hotel is like walking into an old Western film....and I loved every bit! Actually, all of the Saint Jo square is like stepping foot into a Western. There isn't a front desk at the hotel and there are no staff on call - you are sent a code to the door to let yourself in (basically more like an AirBNB). There are only five rooms and each is decorated in it's own unique way and titled appropriately (think: Grandma's Room, The Outdoor Room). 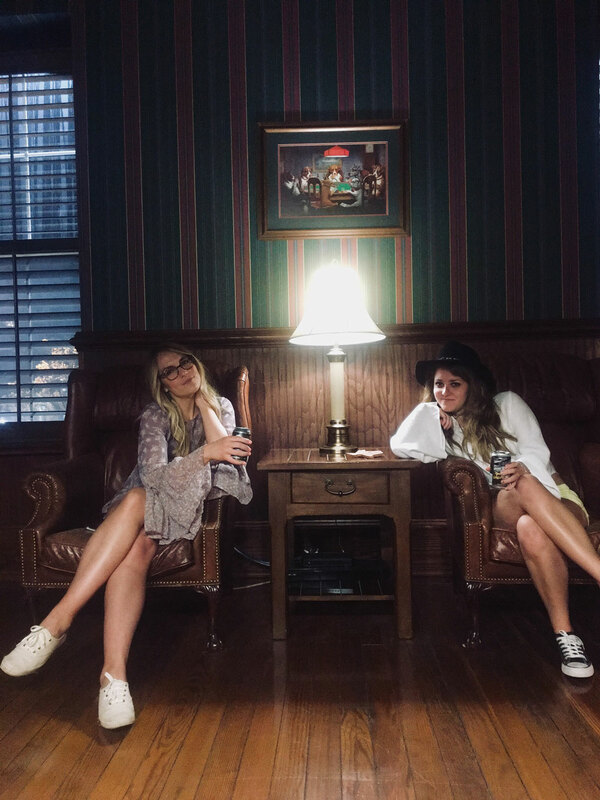 There is one massive gathering room open to everyone called "Big John's Saloon." There is a TV that plays Western movies, a bar, pool table, fridge, oven, etc. and all guests have access to it. We chose to stay in the Country Room - it was so cute and it was HUGE! 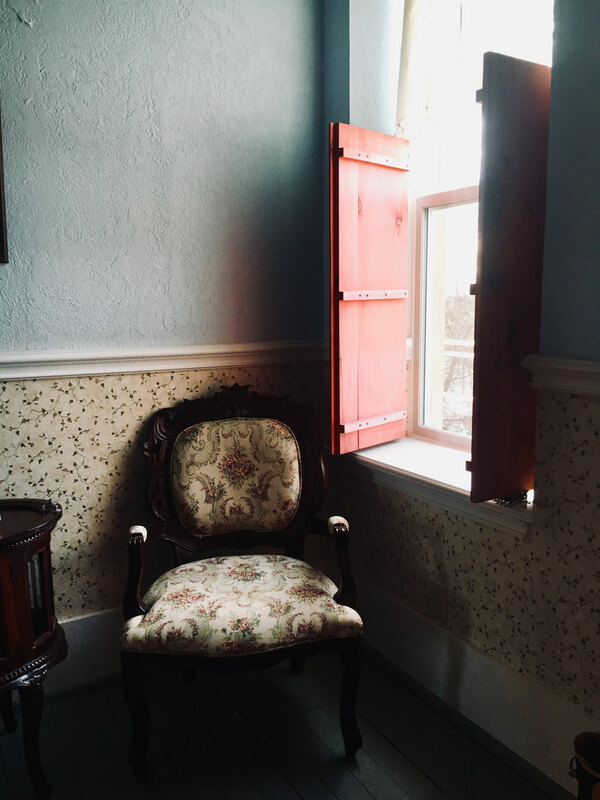 I loved the window shutters, lace details, and the antique chairs in the parlor sitting area. Every part of the hotel was filled with charm. 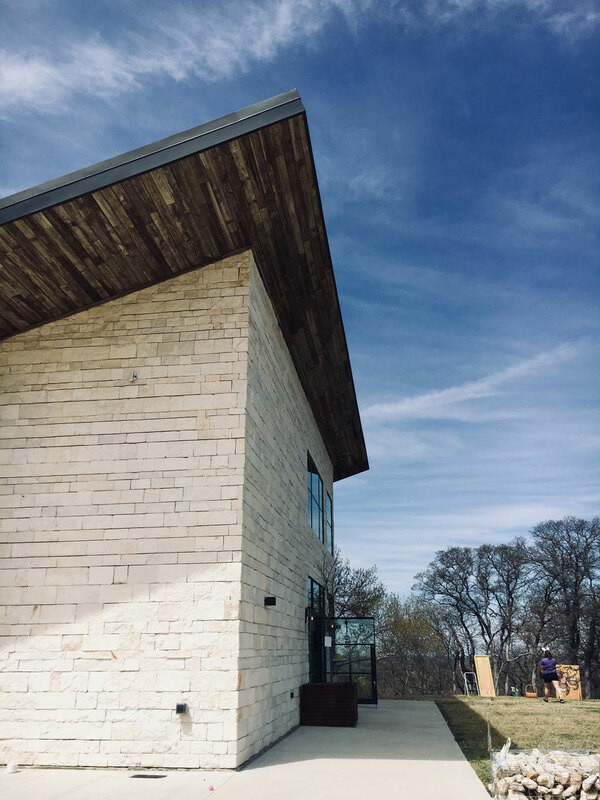 If you are traveling with a larger group, several of the wineries have guest houses for rent on the property - they looked really cool. 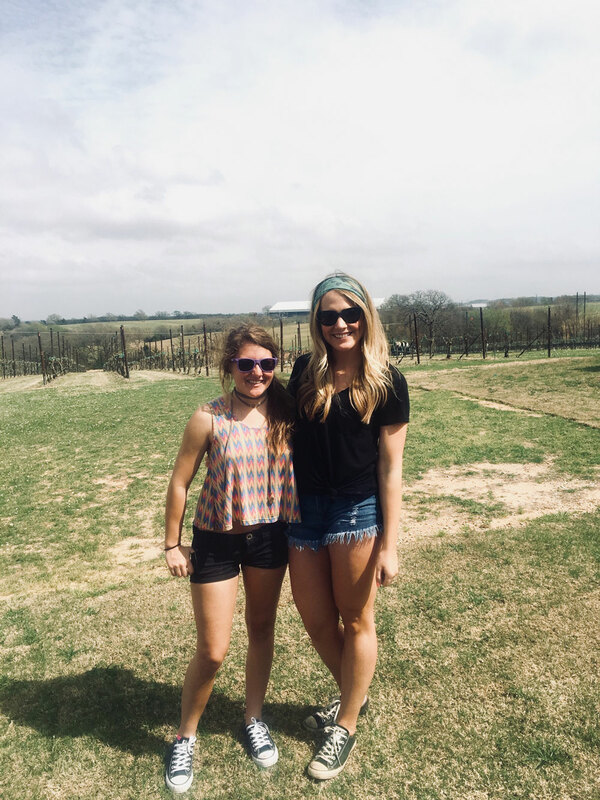 Our first stop was at 4R Ranch Vineyards & Winery. It had the most amazing views! It was a little hard to find (not a lot of cell service + dirt roads) but so worth it. 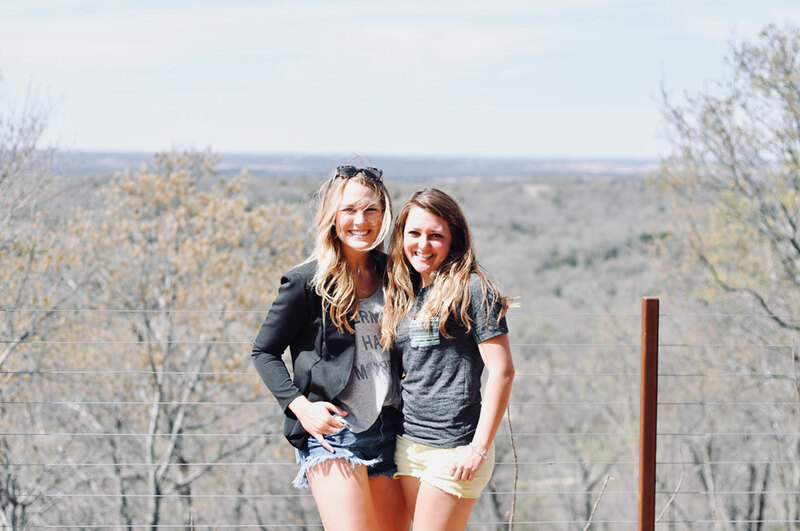 They had a big deck on the top of a hill overlooking the rolling hills of North Texas and over into Oklahoma. I'd say 4R had the best views of all the wineries, but they served my least favorite wine of the weekend. It wasn't bad by any means, but I didn't want to buy a bottle if you catch my drift. They did, however, serve amazing wine-a-ritas! The sun was hot when we were there and they really hit the spot. I think their deck would be beautiful in the evenings when the bistro lights are on and the sun is setting. Shop my look HERE! 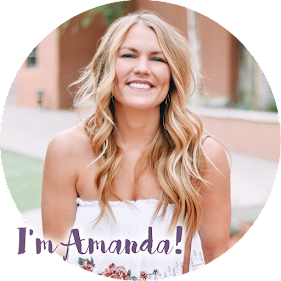 Use code AMANDASOK20 to get my blazer for 20% off making it $15! 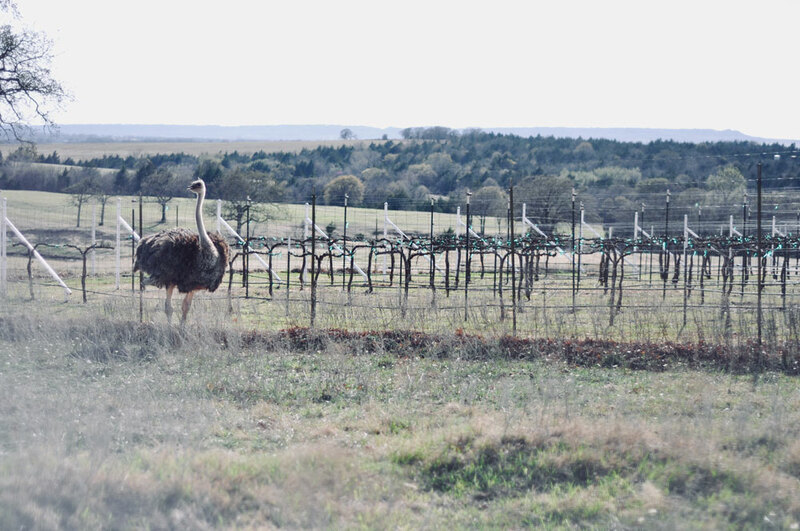 Blue Ostrich Winery was our second stop and yes, they have ostriches on the property! It was soooo lively when we were there - there were a ton of people and a band! 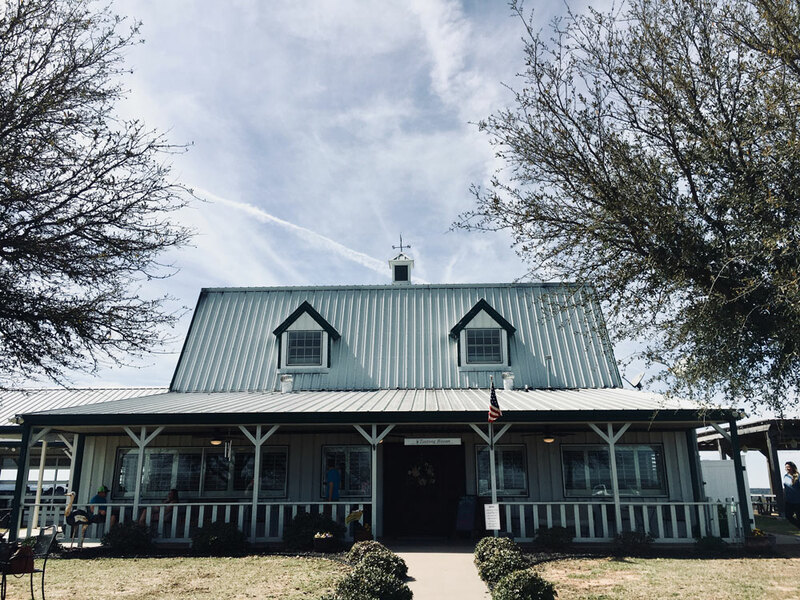 The tasting room is in a cute house and it had a HUGE barn-like covered patio area out back to sip wine, eat cheese and enjoy. We did a wine tasting here which allowed us to sample four or five wines. There were plenty to choose from, both red and white, dry and sweet. My favorite was the white Blanc du Bois - it had a great melon flavor and was perfect on a hot Texas day. Jess preferred a red called The Ranch Hand. We also got a cheese board which always hits the spot. I just love cheese. I was once challenged to not eat cheese for a week and it was tough haha. 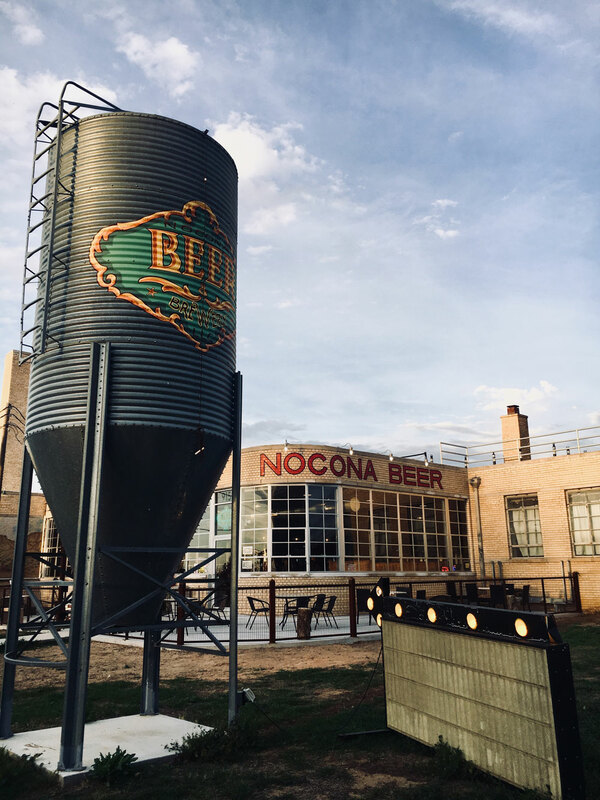 Next up we headed to Nocona Beer & Brewery. 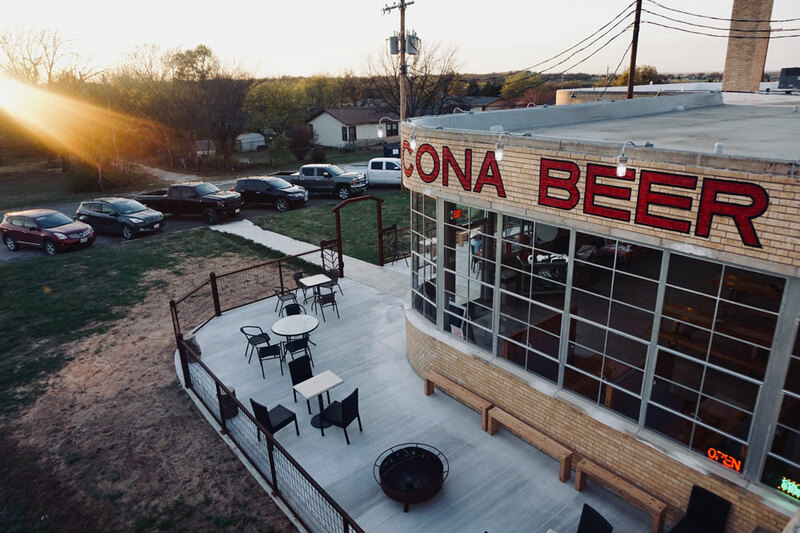 It is located in the old Nocona Boot factory and just recently opened in 2018. We sampled a few of their beers - I really loved the Coffee Stout - and they had liquor cocktails available, too! Five stars for the Princess Leia cocktail. There was a food truck there, as well, so we were able to kill two birds with one stone and eat dinner while we sampled their local brews. 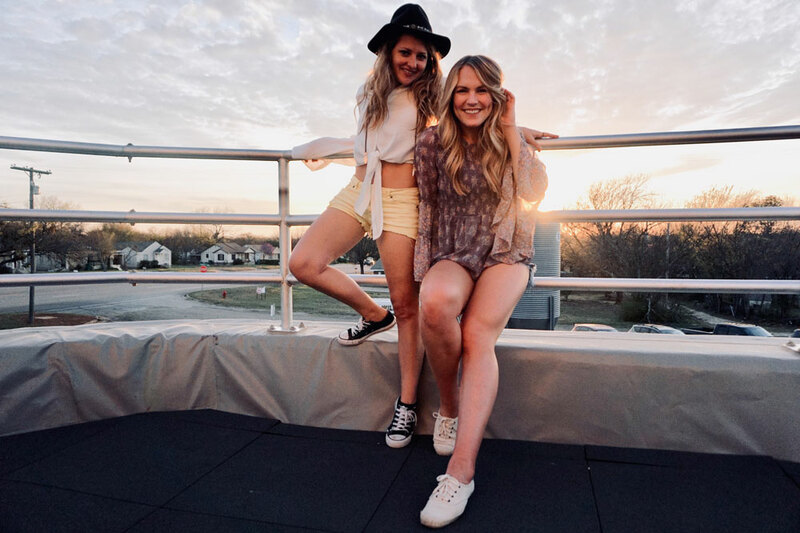 Their rooftop was the perfect spot to watch the sunset over the little Texas town. For such a huge property, it wasn't very busy, which was fine by me! Shop my $15 blouse HERE! 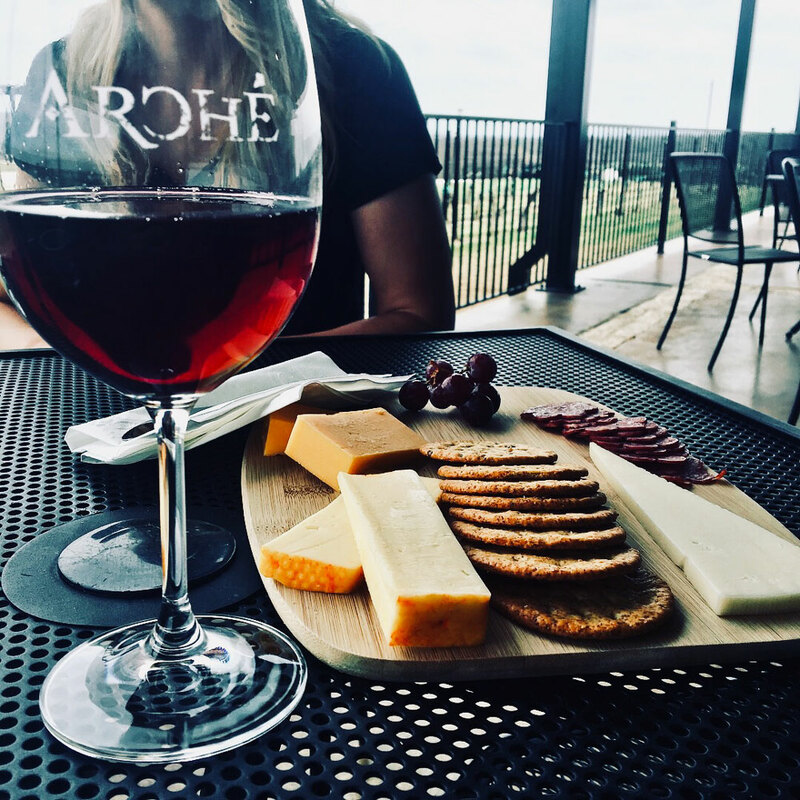 We ended our weekend the next day at Arché Winery - they get the award for best wine and cheese! 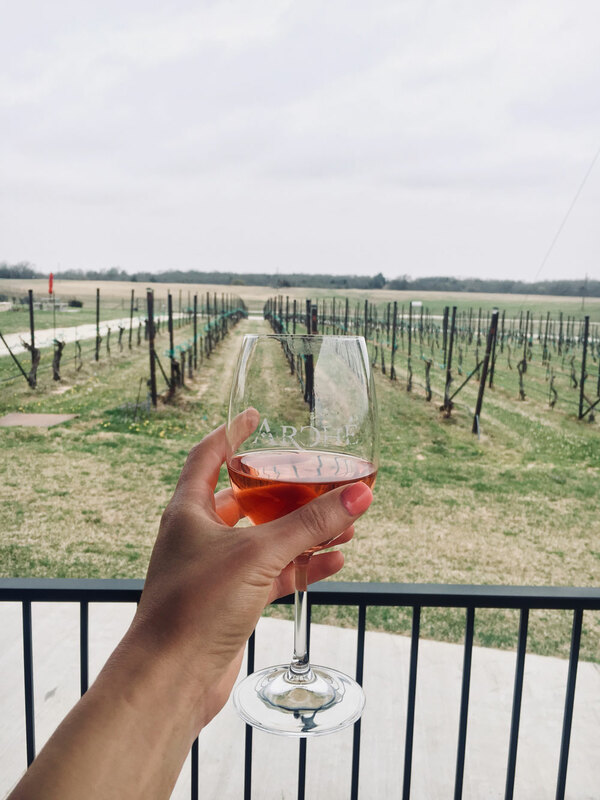 They were the only winery serving rosé which is my personal wine preference, but regardless, it was dang good rosé! 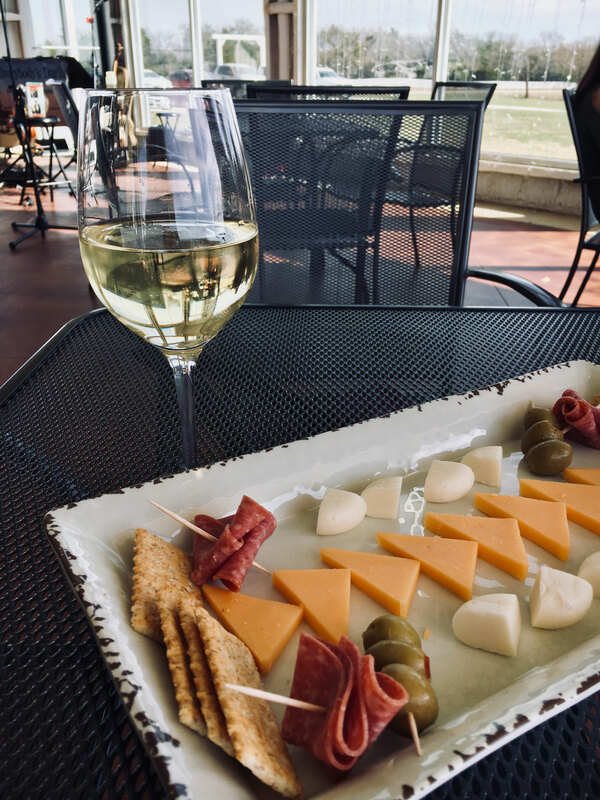 They were also the only winery with a high quality cheese and meat plate (still dreaming of it). 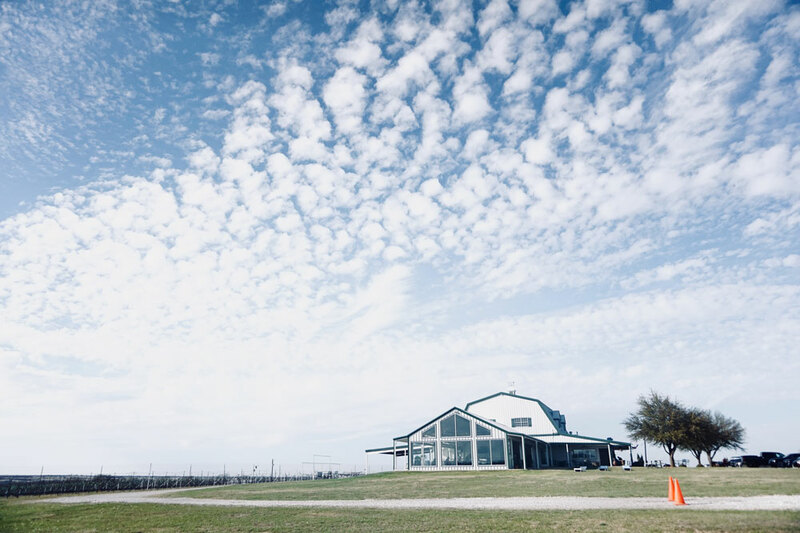 It was much quieter at Arché than the other wineries - maybe because we got there right when it opened on a dreary Sunday morning - but we enjoyed the calm atmosphere and relaxing environment. 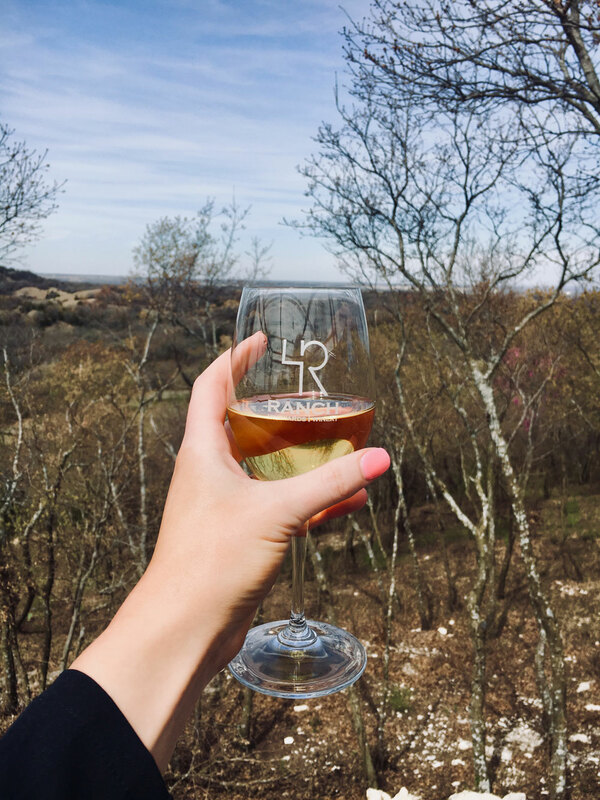 That's how wine drinking should be, right?! It was the perfect ending to a wonderful weekend. I love shopping at little boutiques! 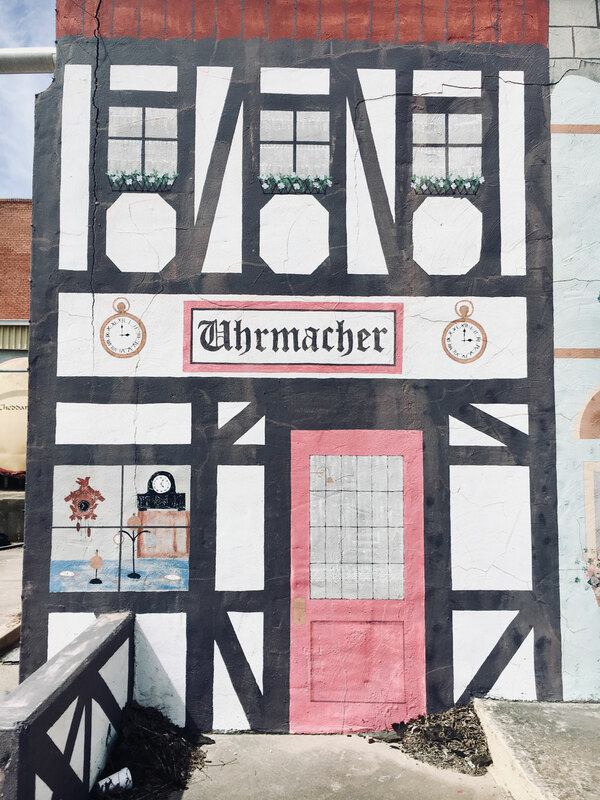 I knew these small towns would have a few hidden gems and I was right. I spent way too much money! 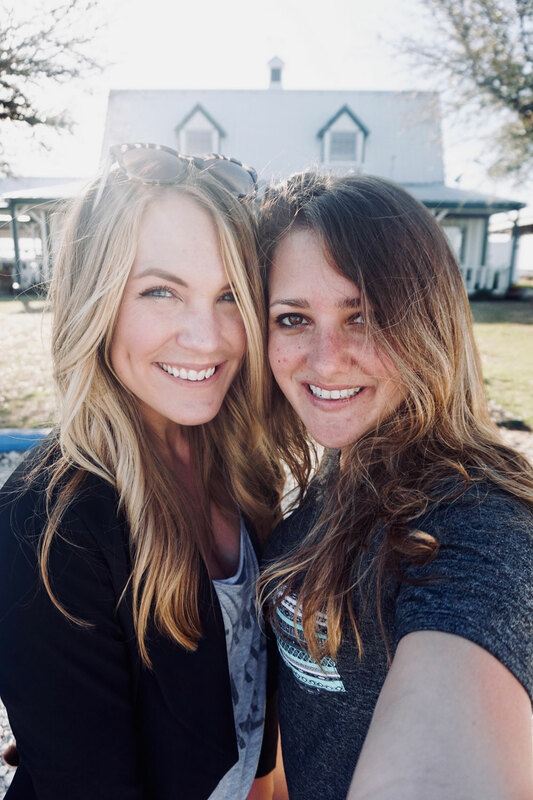 We stopped by Girlfriend's Boutique and Vintage Soul in Muenster - Vintage Soul sold my favorite Kevin Murphy hair products so you know I had to stock up! Gypsy Trail Boutique in Saint Jo was my favorite - it was next to our hotel. 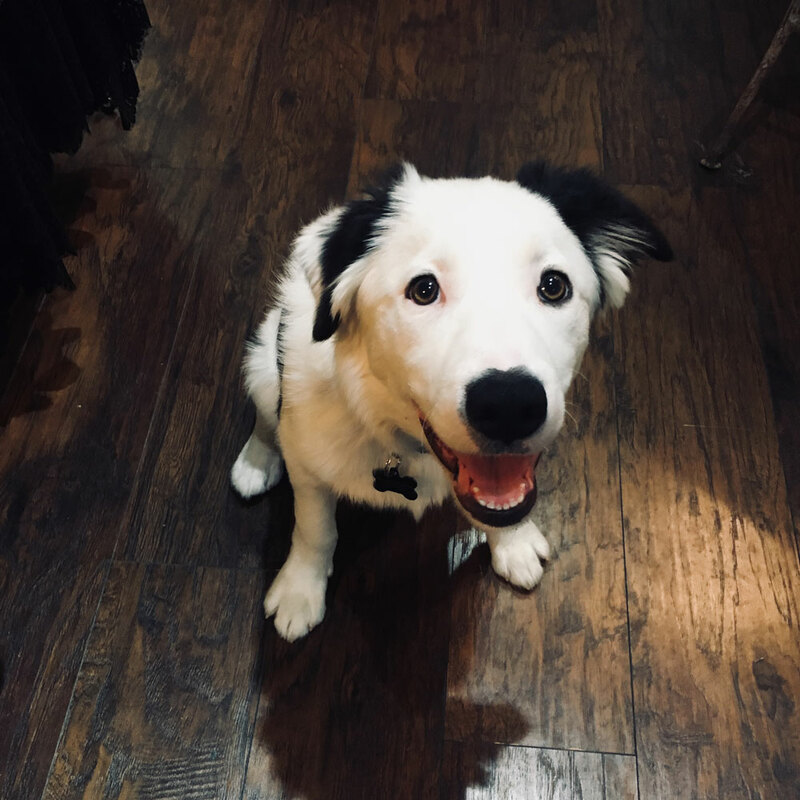 I wanted everything they had, including their adorable puppy, Zinc! 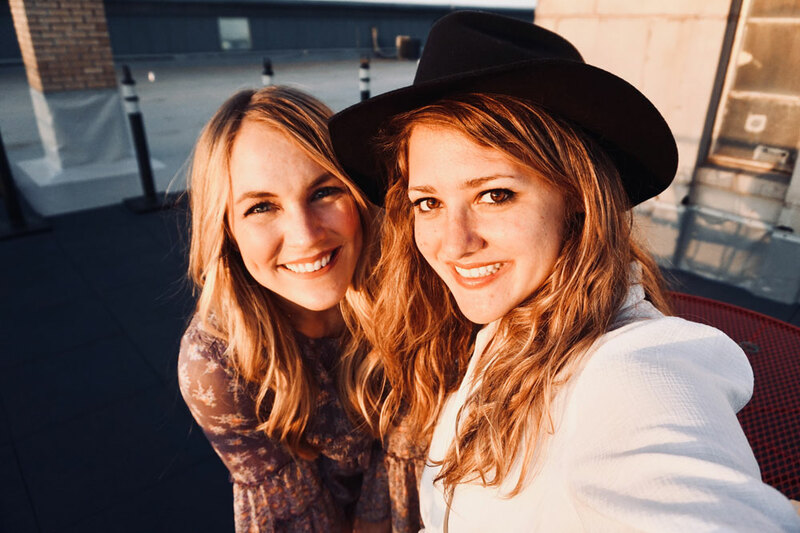 We both immediately wore some of the items we bought - that's when you know you hit the jackpot. They had cute gifts, clothes, jewelry, candles, snacks, coffee mugs - basically the peanut to my butter. 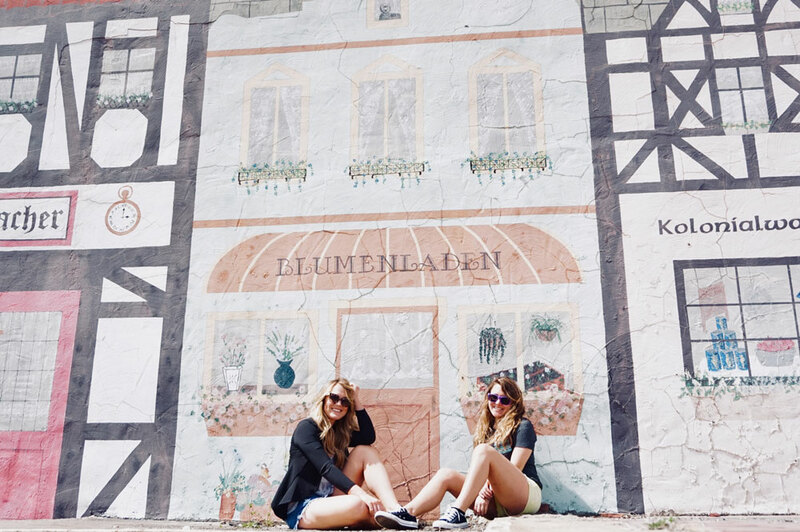 These German-inspired walls are all over Muenster! I wouldn't say any of these towns are known for their restaurants...... but we had decent enough food everywhere we went. The hardest part was finding restaurants that were open! We ate at Doc's Bar & Grill in Muenster for lunch - the food was average but the cake, OH MY, that cake. It is what dreams are made of! I got the lemon blueberry and savored every bite. As I mentioned above we had a food truck for dinner while at Nocona Brewery called Po' Willy's BBQ - from what I understood, they are at the brewery most Saturday nights. For breakfast on our last day, we ate at The Lazy Heart Grill - the only restaurant in Saint Jo. They didn't open until 11 and we were getting haaaangry by then. They actually don't even serve breakfast, but they were nice enough to give us some coffee and put an egg on my BLT to make me feel like I was eating breakfast food. It made me feel human again, haha. 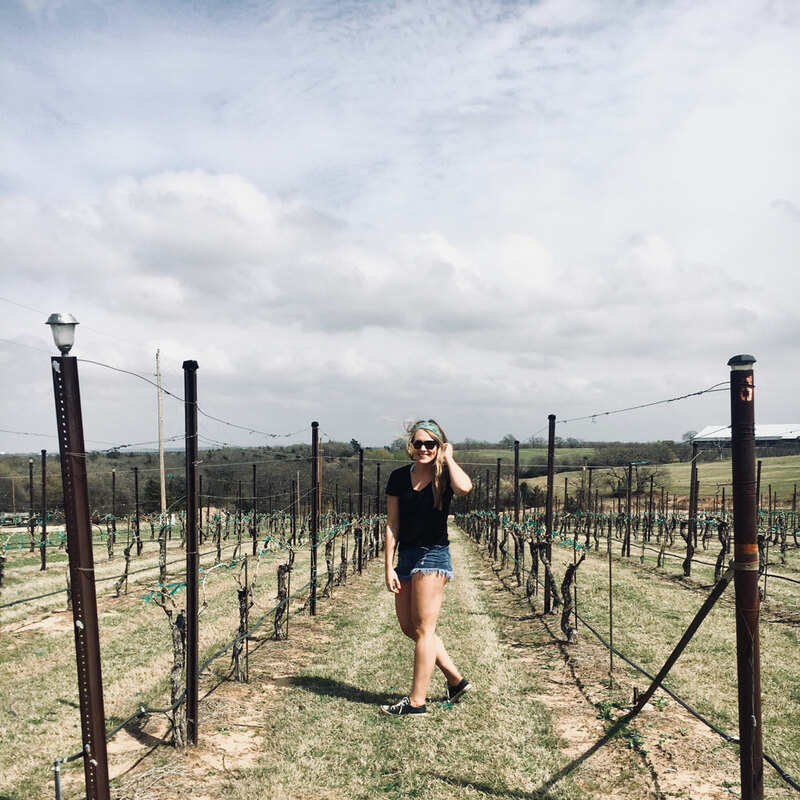 I had such a fun time exploring the Red River Valley and spending a weekend in wine country with my best B - who knew there was such good local wine?! I'd definitely recommend it for a romantic weekend getaway or a girl's trip. 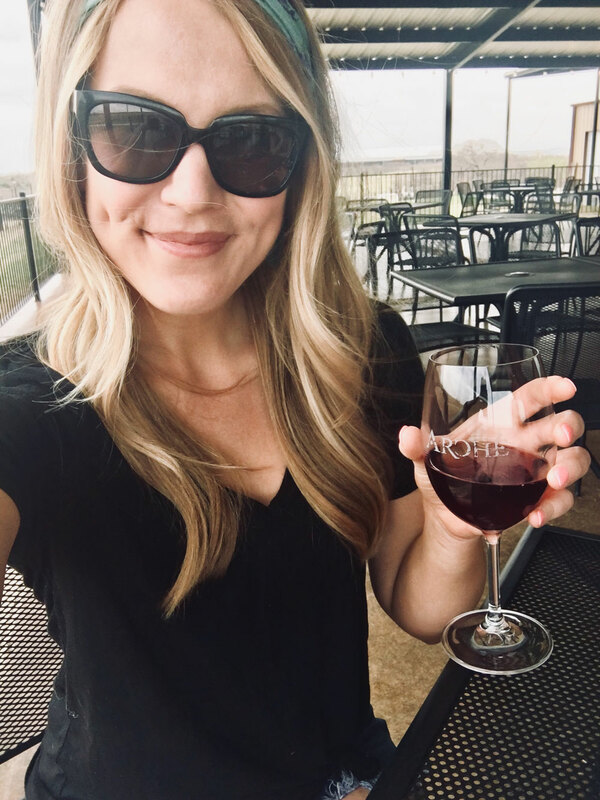 Are there any local wineries in your area? I know there are some closer to OKC that I'm now anxious to explore. 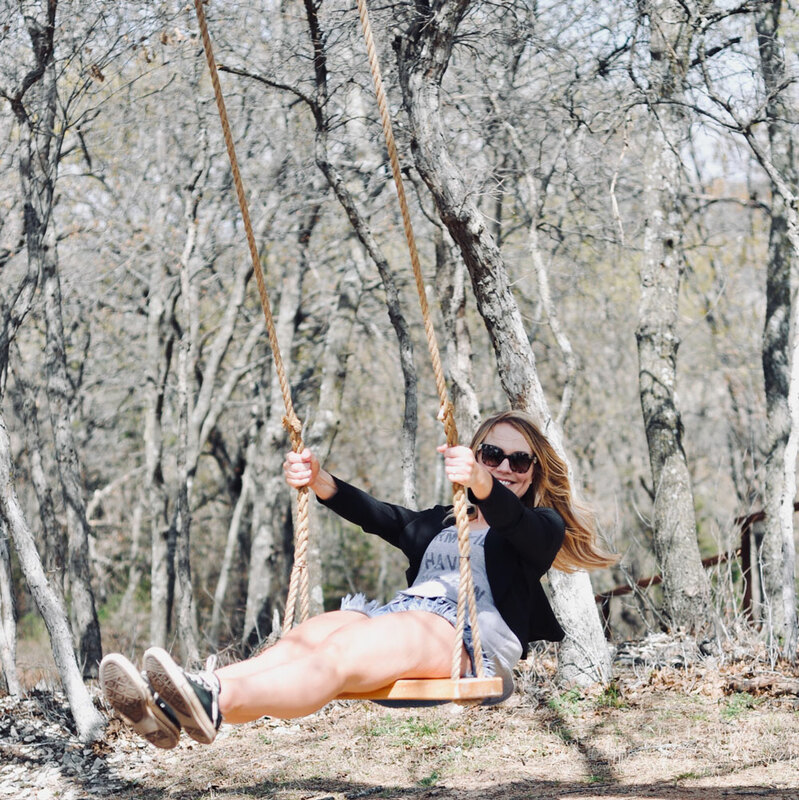 Thanks for reading and have a day!